Do you love food? Yes, we do. Are you a foodie? What mean by a foodie? Wikipedia explains A foodie is a gourmet, or a person who has an ardent or refined interest in food and alcoholic beverages. A foodie seeks new food experiences as a hobby rather than simply eating out of convenience or hunger. Did you know your Android device could help you to become a foodie. Here we are listing the best for food apps for android that could help us grounded in your passion. 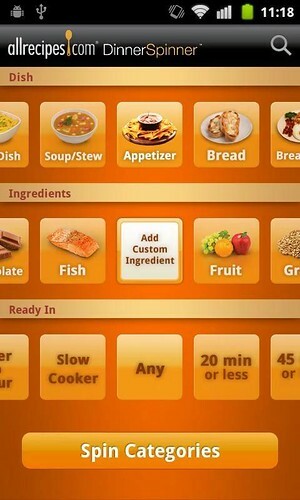 Cookpad is the one of the most popular Android app in this category. It’s a community where peoples post recipes and pictures. There are over 75 thousand recipes in the database. A lot of recipes also note which other recipe on the site inspired the poster to come up with theirs. The recipes are synchronized to your watch timeline as soon as you open them. 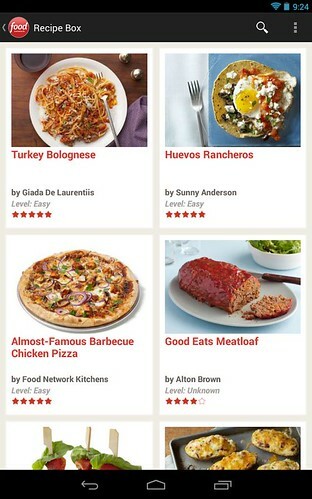 Rate the dish and find the most rated dishes with FoodSpotting. 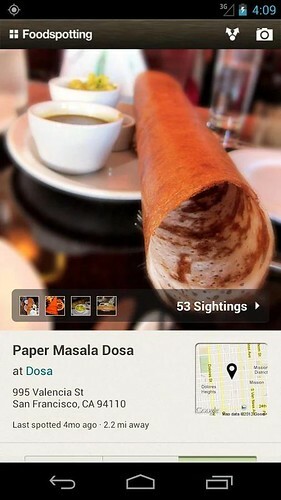 FoodSpotting is the best Android app to discover the best dishes near you through pictures. Foodspotting is a visual guide to good food for local food discovery and restaurant deals. 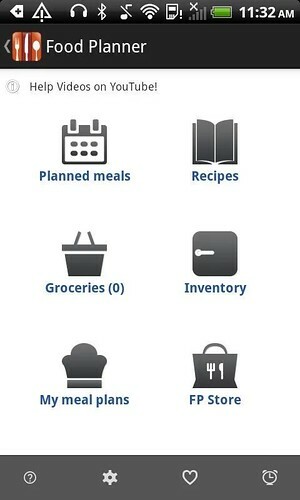 Food Planner is the best way to plan your meals through your Android devices. Food Planner allows you to schedule meals for the whole day. Food Planner allows you to quickly plan your daily meals using a selection of recipes downloaded from all of your favorite cooking blogs and recipe sites. 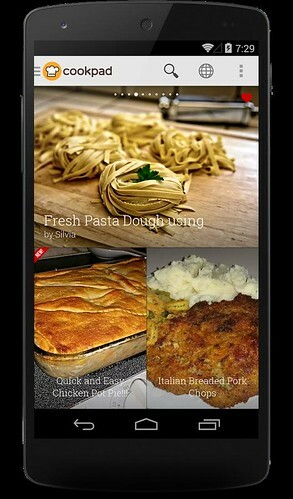 Best Android app with chefs and thousands of their most popular recipes with In the Kitchen. You can ear cooking with popular chefs like Alton Brown, Giada De Laurentiis, Rachael Ray, Bobby Flay, Guy Fieri etc. Another popular Android app loved by tons of foodies. Your Dinner Spinner shopping list links to your main Allrecipes.com shopping list. Add ingredients from recipes on the site, scan items you’re getting low on, or just type in the stuff you need. The location based social networking apps comes last in our list. 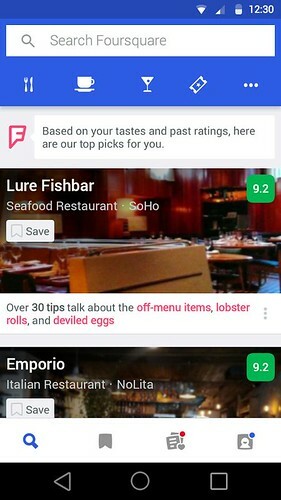 Foursquare remains the best location based social networking app, that used to search for the best restaurants, coffee, nightlife, shops, and more.